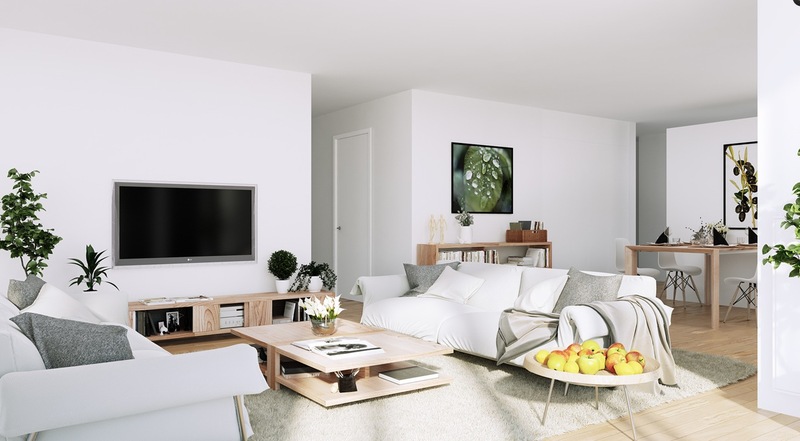 With the rise of trends in minimizing, it is no surprise that Scandinavian design is making its way into many homes that are halfway around the globe. What exactly is it about this specific design that draws outsiders in? The furnishings tend to have simplicity, beauty, and most important--utility. The designs are centered around being functional, but having clean lines as well. 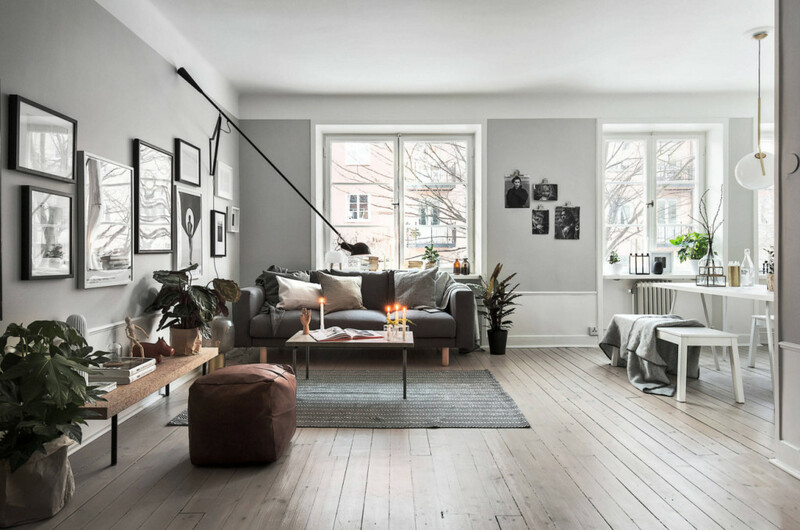 Muted colors and minimal clutter are vital to understanding how to achieve the beauty seen in Scandinavian homes. When you work to incorporate all of the following guidelines, you will be creating the Scandinavian-inspired home of your dreams. Scandinavian design is heavy with influence from the natural environment. This can be seen in things like natural materials such as metals and copper, and using wood to create eye-catching features. Adding plants and plant accessories will showcase greenery, whether it is by utilizing real plants or artwork based on flora and fauna. Incorporating beautiful living elements with color is vital in Scandinavian design. High quality materials are vital to create the relationship that furniture will sometimes also double as works of art to view. Always start with a neutral backdrop--this can be achieved with stark white walls. This blank canvas will provide the ideal starting point for a home, and is absolutely timeless. White walls are perfect, even when you decide to change the look of the room or its accessories. Spaces can be brightened up with bold tones and a splash of color in the accessories or furnishings in order to add contrast. Generally, grays, whites, blacks, and browns are the backbone of creating the clean look of a Scandinavian inspired home. Accent colors are mostly those such as a rich sea green or a dusty pink. Plain white walls allow for the art and furniture in the home to enamor those viewing it with little to distract the eye. You will need to get rid of visual clutter by embracing the "less is more" attitude. Minimalist styles create a smooth flow throughout the home and lend too much more open space. Keep furniture styles uncomplicated as well--simple lines and organic materials restate the focus of natural materials and shapes. All spaces should be used thoughtfully, like incorporating sufficient storage with shelves and cabinets. Use a mix of neutral toned bedding, chairs, and lounges along with wooden furniture. The neutral textiles will help to create more light in the room. Think about the perfect amount of lighting, and then add some. The mentality behind Scandinavian design is to light up the rooms as much as possible, as to combat the long and dark winters that the region is known for. In regions that get plenty of light naturally, bring the outside light to the inside by having a seamless shift between the indoor and outdoor living areas. This is easy to accomplish when a home is already made with plenty of windows in the right areas of the house. In the evenings, add more light by using candle light-- candelabras can be placed on window sills and on dining room tables. Clean lines should be the main idea when considering the furniture. The tables, chairs, and sofas should all embrace the look of mid-century modern inclination--natural hues with smooth rounded edges. 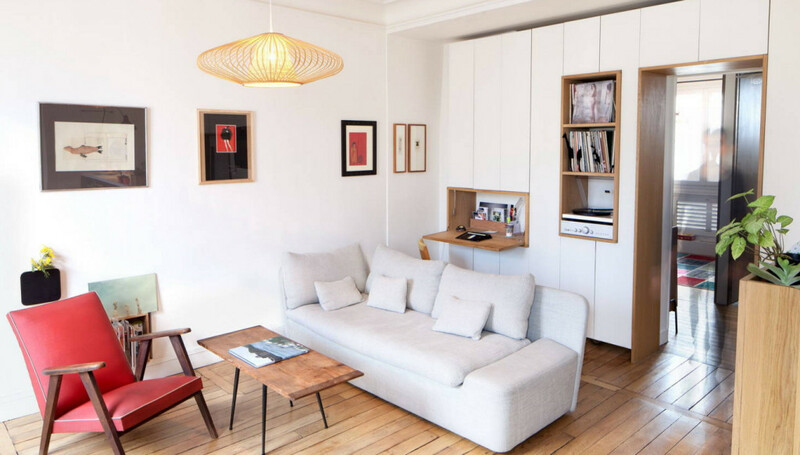 Scandinavian design is heavy with functional design and innovation when it comes to interiors. Use shelving systems that are multiple levels and multiple sizes, this will aid in having practical storage solutions that will also create visual interest. Consider storing unused items off site or getting rid of it all together. You will rarely ever see floors that have wall to wall carpeting in Scandinavia--if ever. Traditionally, flooring is hardwood either painted white or left in its natural color. Many times the wood is used floor to ceiling. Embracing this will help to foster the illusion of a larger space while bringing in more light. Variations on this style will use light wood materials like pine or birch, so there is no need to paint it all. In Scandinavian homes, the bathrooms generally have heated tiles for warm flooring during the winter months. Rugs may be used to break up large floor spaces, but be wise in choosing. Opt for a rug made with natural fibers, or even fur. Allow it to only subtly stand out from the rest of the room. A rug should not be the statement piece by any means. Having minimal window treatments contributes to the sentiment of inviting in as much light as possible. Homes in Scandinavia rarely ever have coverings over their windows. If there is a need to have something to cover the window, it would be preferable to use light fabrics such as linen and sheer. If possible, choose windows that are very large in order to let it as much natural light as possible. The decorative accents used in Scandinavian design are very simple with their style. Luxe ceramic vases and pillows that have a geometric design will add a bit of subtle texture and color into the home without creating clutter or distractions. In keeping the accents simple, they should also not create the clutter that was mindfully discarded. Because of the long winters in Scandinavia, a lot of their décor incorporates textiles that will literally warm you, like sheep skins, soft cotton, and mohair or wool throws. They will add to the feeling of being warm and cozy as well as contribute to more layers of space and texture. Most living rooms also incorporate a fireplace. Choose something that is not only functional, but also something interesting to look at. Stick with simplicity when choosing the design, and place it in a corner of a room.